Do we need a BIG 4 or BIG 5 classification of pageants? Different portals are coming up with their classifications of international beauty pageants. The famous pageant portal Missosology introduced the term “Big 4” wherein, the four pageants – Miss Universe, Miss World, Miss Earth and Miss International are considered as the four major pageants of the world. The famous pageant portal Global Beauties refuses to acknowledge the Miss Earth pageant. They consider five pageants as the Grand-slam pageants: Miss Universe, Miss World, Miss International, Miss Supranational and Miss Grand International. Often, pageant fans drop in a message to us about our stand on the matter. It really didn’t take much time for us to come at a firm opinion on the matter. For TGPC, there is just a MEGA 2 – Miss Universe and Miss World! Miss Universe and Miss World are way ahead of the other pageants! There is really no comparison or competition. Both the pageants are existing from many decades. Many girls have won these pageants and achieved international fame. Both the pageants have been associated with a lot of charity work. Both the pageants are highly popular throughout the world. Women throughout the world aspire to be a part of these contests. The contestants/winners of these pageants are always better than the contestants/winners of other pageants. These pageants have lived up to their reputations for years and bear a huge respect in the world. In fact, many people only know about these pageants and not others. Putting other pageants in same bracket as these two is a big folly! Miss Russia 2013 flanked by Miss Universe 2012 and Miss World 2012. It is rare to see winners from both Mega 2 pageants together. The other pageants are pretty new and have a long ways to go! Miss Earth will first have to establish credibility among pageant fans from countries other than the one where it was created. Miss International is an old pageant, but it does not match up to Miss Universe or Miss World in terms of international popularity. 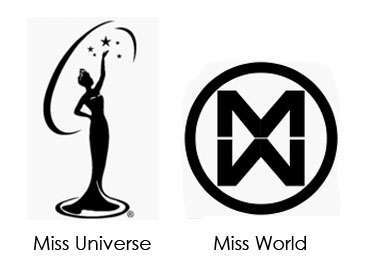 Miss Supranational and Miss Grand International are pretty new compared to Miss Universe and Miss World. They have achieved good progress in short periods of time, but will have to stand the test of time. Miss Intercontinental is also not much popular. There is no other international pageant that deserves consideration. Thus, Miss Universe and Miss World clearly emerge as the only two significant pageants. They have proved their significance from years. The other pageants have a long way to go to match their levels. Miss Universe and Miss World are our MEGA 2 Pageants! Agree. Miss Earth needs time to prove itself, it’s still a along way for it to be like Miss International, MU and MW are on whole other level. It needs to think differently and progressively. rest of them are pretty much like annual fairs. Let’s maintain the standards where they are first MW and MU, then MI and then the other new ones.